Cindy Margulis , Executive Director, joined the Golden Gate Audubon staff in May 2014 after many years as a GGAS volunteer. She has administrative experience in both the non-profit and private sectors, most recently at Destiny Arts Center in Oakland and Goodwill Industries of the Greater East Bay. In the private sector, she has worked as a strategic business development leader and marketing strategist in a range of businesses. As a Golden Gate Audubon volunteer, she helped advocate for protection of endangered California Least Terns at Alameda through GGAS’ Friends of the Alameda Wildlife Reserve committee. A longtime birder, Cindy has also served as a volunteer and wildlife educator for conservation groups including International Bird Rescue, Oakland Zoo, San Francisco Bay Bird Observatory, and East Bay Regional Park District. She has a B.S. from Boston University. Noreen Weeden , Director of Volunteer Programs, was formerly a Golden Gate Audubon board member who served as chair of the San Francisco Conservation Committee and board secretary. She is an active volunteer for Golden Gate Audubon, the Golden Gate Raptor Observatory, and the Yerba Buena chapter of the California Native Plant Society. She worked in technology in large corporations and for a small, local business. Noreen has a B.A. in International Relations and a M.S. in Telecommunications. 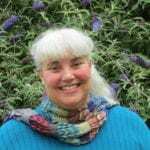 Monica Moore, Office Manager, joined Golden Gate Audubon in February 2015 and has over 20 years of administrative experience. She has an extensive career in both the arts and ministry. In addition to working as the Office Manager, Monica serves as Pastor of SafeHouse Church in Richmond. Monica has a B.S. from the University of Missouri-St. Louis and a Master of Divinity Degree from the Interdenominational Theological Center in Atlanta, Georgia. Clayton Anderson, Youth Programs Manager, joined Golden Gate Audubon in 2017. He is an environmental educator and professional artist who became a naturalist and birder as a child, although he didn’t get his first pair of binoculars until graduating from high school. Clay worked his way through San Jose City College, then transferred to San Jose State University, graduating with a B.A. in Drawing and Painting. 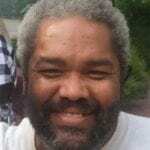 He has worked with a number of environmental education organizations, including California State Parks and Recreation, East Bay Regional Park District and The Oakland Museum. 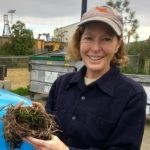 Leslie Weir, Development and Communications Manager, joined Golden Gate Audubon in April 2018. A Bay Area native, Leslie spent many years working in film production before transitioning into development for local non-profits, most recently at the Fred Finch Youth Center in Oakland. Leslie has a B.A. from UC Berkeley and an M.F.A. from UCLA. She is a committed volunteer with many Bay Area wildlife rescue organizations, including Lindsay Wildlife Hospital, International Bird Rescue, and the Oiled Wildlife Care Network.